Focus on real risks with a stratified approach that saves time and strengthens compliance. Managing risk is often a one-size-fits-all approach. A typical risk system uses generic models that incorporate numerous risk factors, resulting in large volumes of high-risk customers. But all high-risk customers are not created equal. A local charity, for example, likely does not present the same level of risk to your institution as an international NGO. Verafin’s high-risk management approach allows you to define what risk means to you, and stratifies risk within high-risk categories, such as MSBs, ATM Owners, and MRBs. This ensures you are reviewing the right customers at the right time and provides greater visibility to the examiner of your institution’s risk profile. With a stratified approach, Verafin addresses how risk differs within each high-risk category of customers, with stratified risk models that automatically risk score each high-risk customer relative to other customers in that category. You can customize risk models in Verafin to align with your institution’s risk appetite, and compliance policies and procedures. This stratified approach allows for control and flexibility, to add, remove or update models based on the specific and changing needs of your institution. Verafin monitors activity across all customers for specific risk factors that categorize and further stratify risk within higher-risk groups. Verafin’s approach allows you to control the risk factors that are included in configurable risk models, and how each factor impacts risk stratification. With a centralized Risk Assessment dashboard, you can get a quick view of your institution’s stratified risk profile, or you can drill down into each risk category. Easily access lists of higher-risk customers, both in specific categories and overall. Updates to customer-risk profiles, configurations and risk models are all tracked and logged for auditing purposes. Verafin’s enterprise reporting functionality helps you provide detailed reports for examiners and senior management on your high-risk customers and EDD cases. If you are trying to capture all potential risk factors in a single risk model, you are likely creating too many high-risk customers to review, leading to increased workload and compliance costs, along with an inaccurate view of your institution’s customer-risk. Verafin increases efficiency by first identifying high-risk customers, then automatically grouping and stratifying those customers relative to their specific high-risk category. Not all high-risk customers are created equal. For example, an grocery store that simply cashes small checks likely poses less risk to your institution than an international money transmitter; however, without stratification, you are expected to spend the same amount of time and effort monitoring and reviewing both MSBs. Verafin stratifies all customers, regardless of category, resulting in less truly high-risk customers for you to investigate, saving you time by allowing you to focus on the ones that pose the greatest risk to your institution. Examiners are putting a greater emphasis on CDD and EDD procedures for higher-risk customers. Verafin will help you prepare for your next exam with confidence by stratifying risk across your customer base, and even within higher-risk categories of customers as outlined in the FFIEC Exam Manual. This will allow you to provide examiners with a more accurate picture of your institution’s risk profile, and more visibility of the customers that pose the greatest risk to your institution. 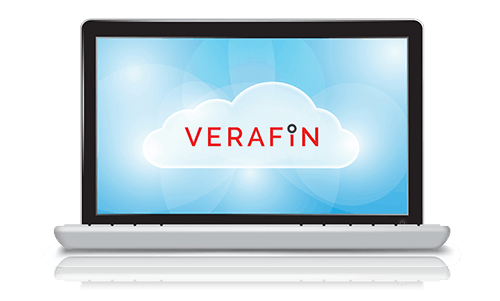 Interested in learning more about Verafin's Risk Stratification Solution?